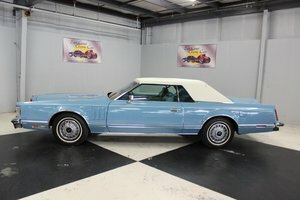 1976 Lincoln Continental Coupe Semi Custom, has the silk smooth 460, Clean rust free Lincoln with original paint, Vinyl top was removed and I had it redone with a special blend of bedliner with a slight sparkle, no glitzy at all, but its beautiful when the sun hits it, New Daytons and tires. Last owner remover side trim and welded up the holes, I am thinking about just painting the sides and leaving the hood and trunk original paint, just had the bumper fillers painted, see last 3 pics. Great car, clear title Please Note The Following **Vehicle Location is at our clients home and Not In Cadillac, Michigan. **We do have a showroom with about 25 cars that is by appointment only **Please Call First and talk to one of our reps at 231-468-2809 EXT 1 ** FREE Consignment Visit Our Site Today Easy To List Your Vehicle and Get it Sold in Record Time.